Antique copper brown birdbath. 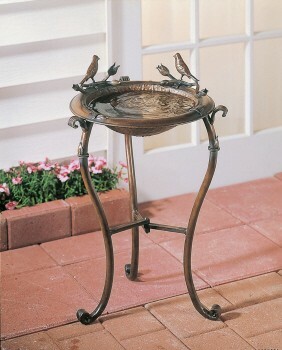 Featuring round birdbath shape with 3 legs and a bowl of antique brown iron wire. Measurements- 17 in. D x 25 in. H. Made of polystone.